These Wedding Florist Testimonials show just how happy our clients are with A Floral Affair’s work. 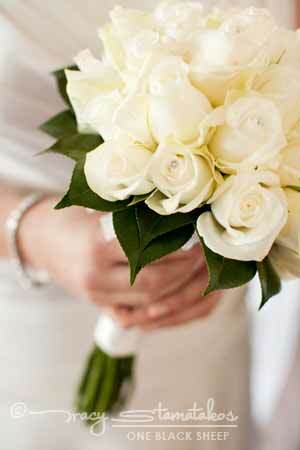 If you have Francine provide the flowers for your special day, we promise you’ll be just as pleased. We just want to say a BIG thank-you once again on the wonderful creations you made for our special day. We have had comments after comments in regards to the flowers, you should be very proud =). The reception was definitely everything I had dreamed of and more. I just loved the bridal table centerpiece. Wow, what an amazing wedding we had. Everything was perfect & exactly how we had imagined it would be. I wanted to say a massive thank you from the bottom of my heart for the amazing flowers. The centerpieces were absolutely Breath taking, along with our bouquets and all the finer details. I am so excited to see our photos and will make sure to send you loads when I get them.